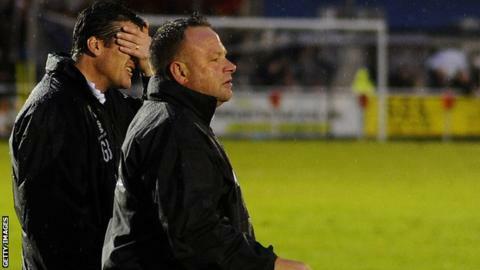 Conference Premier side Lincoln City have appointed Chris Moyses as manager on a 12-month rolling contract. Moyses, 49, had been in caretaker charge along with Grant Brown since former boss Gary Simpson was placed on gardening leave in early November. Simpson's departure was confirmed last week while 45-year-old Brown, who worked as Simpson's assistant, will stay on as assistant manager. A club statement read: "We urge all fans to back the management team." The Imps have taken seven points from their four league matches under Moyses and are 15th in the league, but were knocked out of the FA Cup by Eastleigh.